Kenai Fjords National Park is a national park in the United States located on the south coast of Alaska, which protects the glaciers of the eastern coast of the Kenai Peninsula. It was first established as a national monument in 1978 and then as a national park in 1980 and protects an area of 434,905 acres (it is the smallest national park of the eight located in Alaska). The area was first protected by proclamation on December 1, 1978, as a national monument of the United States, part of a group of 15 natural areas in Alaska that Jimmy Carter, making use of the presidential prerogative, proclaimed new national monuments. After that, the Congress of the United States had postponed a large purchase of Alaskan lands that had strong state opposition. Congress passed the Alaska National Interest Lands Conservation Act in 1980, which incorporated most of those national monuments into national parks and nature preserves, but which also limited the future use of the presidential prerogative in Alaska. In the park, there is the Harding Icefield (named after US President Warren G. Harding), one of the largest ice fields in the United States (119,352 acres ). The park is named after the numerous fjords that have sculpted the glaciers descending the mountains. 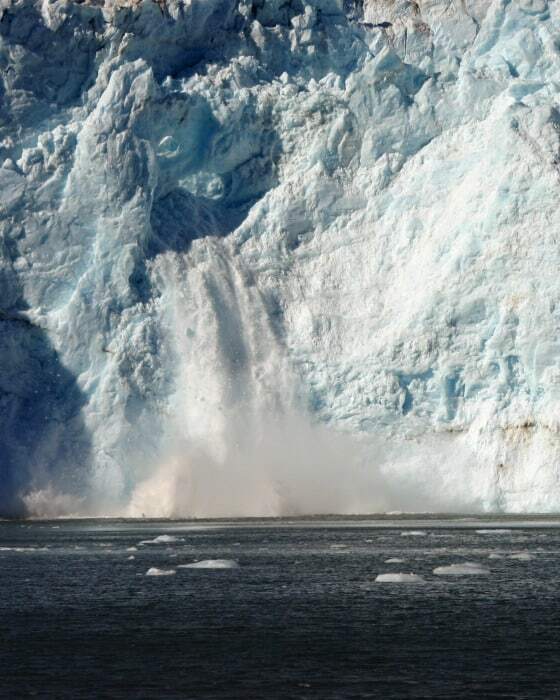 The field is made of at least 38 glaciers, the largest being the Bear Glacier. A glacier cross was repeatedly attempted, but only in the spring of 1968, a group of climbers succeeded. The departure was at Homer on April 17 and after eight days they finally arrived at the Exit Glacier (Seward). During the crossing, they also made the first ascent on the Truuli Peak (6611 feet high). 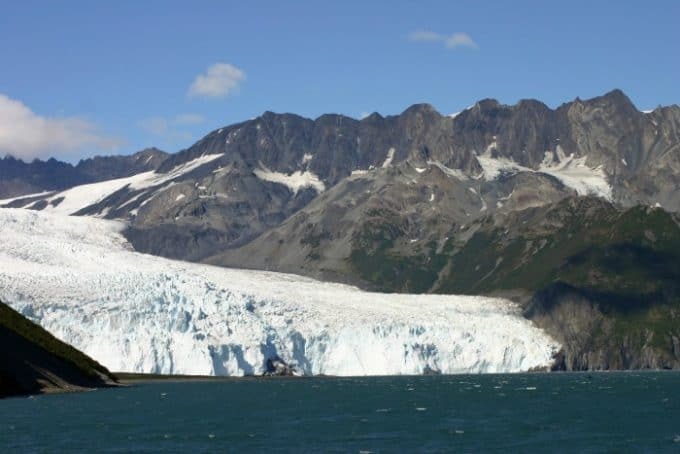 The main glaciers found in Kenai Fjords National Park are: Tustumena, Exit, Aialik, Bear Glacier and McCarty but the most accessible is the Exit Glacier, from Seward. The Harding ice field is one of the four large ice caps in the United States and it is a remnant of the great masses of ice that have covered Alaska in the Pleistocene. The glacial landscape of the Kenai Fjords National Park retreats more and more. The glaciers shrink and the ice releases new land that can be colonized by plants and animals. In the park, you can see large land mammals such as grizzly bears, black bears, moose and mountain goats, but also smaller mammals such as North American otters and beavers. In the area of the national park, there are also sea mammals such as sea otters, seals, and sea lions. On the coast of the Gulf of Alaska, you can also find various whale species, including orcas, fin whales, humpback whales, and minke whales. The white-striped dolphin is also found in these waters. Among the best-known bird species in Kenai Fjords National Park are bald eagles, a subspecies of the peregrine falcon, yellow tufted puffin and Horned puffin. The park can be accessed from Seward, 80 miles south of the city of Anchorage at the southern end of the Seward Highway. It is one of the only three national parks in Alaska that can be reached by road. Another point easily reached by car is the Exit glacier. A few miles before Seward a fork to the right leads about 6 miles to the parking lot from which some easy paths lead to glacier observation spots. Several cruises from Seward also provide access to the park through Resurrection Bay. Several companies offer tours, many guided by the rangers of the national park. The tours offer observation points of the land and marine fauna but also for the beautiful natural landscapes, fjords and glaciers.